ThinkGeek.com is an online store with all kinds of awesome geek stuff. 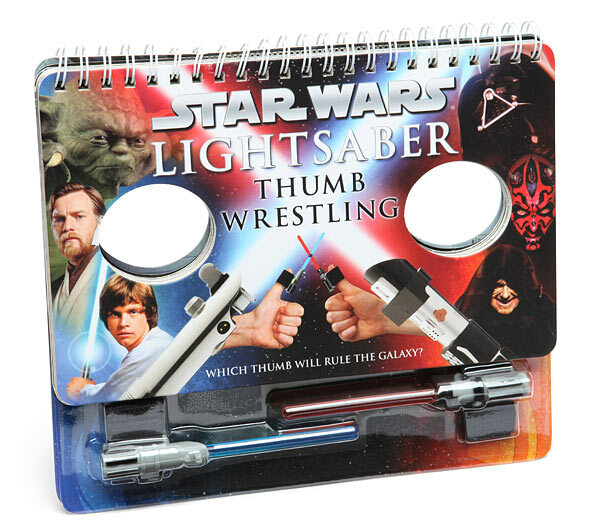 On sale now, is a Star Wars Lightsaber Thumb Wrestling book. I think this is a pretty fun idea and the cost is very reasonable. No need for boring “old school” thumb wars, this makes it way more exciting. One, two, three, four – we declare thumb war. Remember? And then you’d mash each other’s thumbs or flick your pointer finger out yelling, “Secret Weapon! !” and getting everyone all mad? That’s how you used to thumb wrestle, but that’s not how they did it long, long ago and all that. How’d they do it? With lightsabers, silly. And now you can, too, with Star Wars Lightsaber Thumb Wrestling. 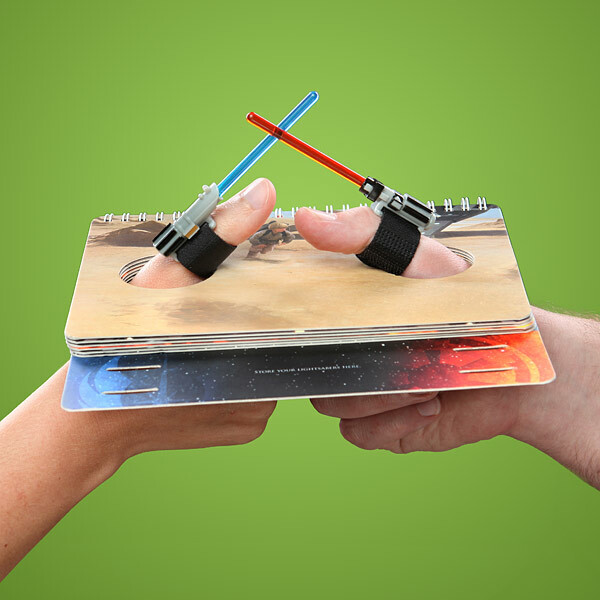 Star Wars Lightsaber Thumb Wrestling – a game-in-a-book – provides hours of fun for thumb wrestling masters or their padawans. Each duelist attaches a saber to their thumb with Velcro and elastic. Then, just decide on the arena (featuring prominent dueling locations from all 6 Star Wars movies), slide your thumbs in, and have at it. Star Wars Lightsaber Thumb Wrestling is silly fun that will make a childhood game come alive again – with the power of lightsabers. Please Note: These thumbsabers have no cutting properties and will not Ponda Baba-ize any of your digits. Just so you don’t worry. Saber Dimensions: approx. 4″ long (fits most thumbs). 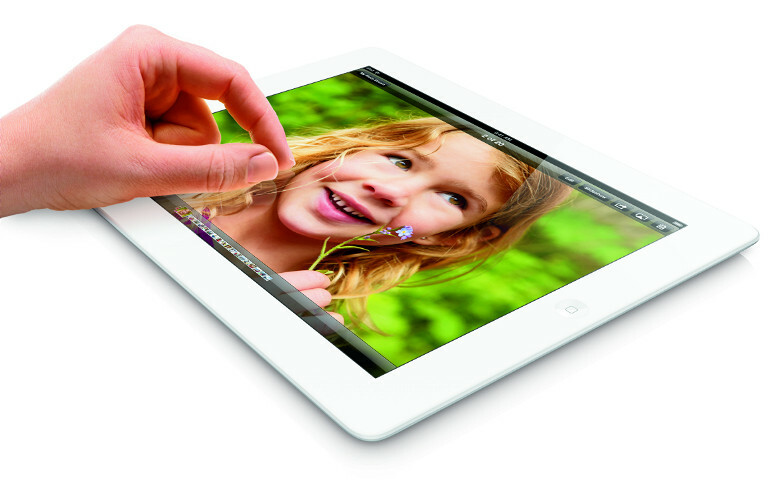 You still have one day left (7-13-13) to head to Best Buy where they are offering $200 or more in trade-in value when you trade in your iPad 2 or 3rd generation iPad. 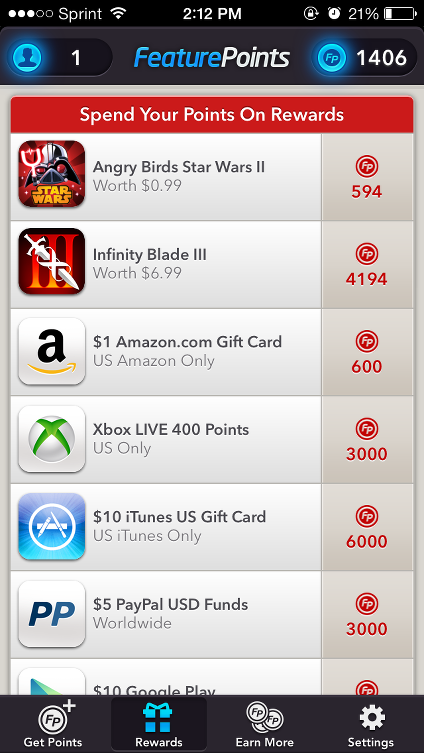 You can opt to receive the trade-in on a gift card or use it to buy a 4th generation iPad.If your tablet is in really good condition you can get even more money. I would check online pricing for your iPad on Amazon and eBay just to be sure you’re getting your maximum value. You should also take the connivence of getting your cash immediately into consideration as well. It’s likely that BestBuy is trying to clear out some of it’s inventory ahead of the release of the anticipated iPad 5 this fall. Nintendo has many projects in development right now and they are hard at work trying to get them finished and out to Wii U owners. Obviously, none of these titles have official names and many are not even set to be released any time soon. Walmart, however, has decided that it’s time to get those pre-orders up on their site and they have done so with some names that leave little to the imagination while others are a bit more ambiguous. Either way it definitely helps build excitement and anticipation for new and upcoming Wii U titles, which the console desperately needs. I put together an article recently discussing Nintendo’s interpretation of the rather dismal launch of the Wii U. Lemon Wallet allows you to store a digital copy of all of your cards—ID, insurance, loyalty and payment cards—so you always have a backup in case your wallet is misplaced, lost or stolen. Lemon Wallet digitizes your cards in a smarter way with interactive balance updates, personalized offers and a simple way to communicate with brands and merchants. Getting started is as easy as snapping a photo of every card in your wallet. Lemon Wallet captures the important information and stores your cards in your phone and on our servers. 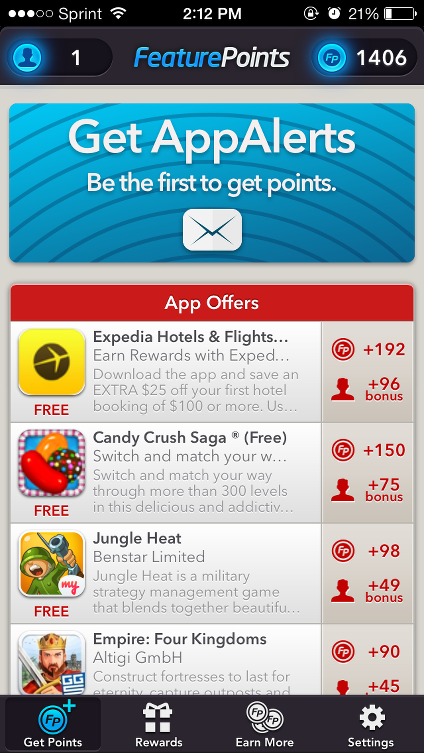 All your data is safely stored and encrypted, and a PIN is required to access your cards. If you lose your phone, you can remotely unlink it from your Lemon account. Have you ever forgotten your wallet? With Lemon Wallet, you can access your information when you need it. Plus you can always have a backup in the cloud in case your wallet is lost or stolen. You can also store all your receipts in case you need to make a return, for tax purposes or to track your spending. Just take a picture of your receipt, and we will digitize key information.